The Windham Eagle News: Sen. Diamond: "Ranked-choice voting is the law. We have a responsibility to follow it." 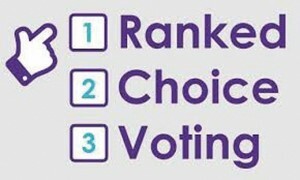 Sen. Diamond: "Ranked-choice voting is the law. We have a responsibility to follow it." AUGUSTA — Earlier this week, Congressman Bruce Poliquin filed a lawsuit against Maine Secretary of State Matthew Dunlap regarding the implementation of ranked-choice voting in his tight congressional race with Jared Golden. In the complaint, Poliquin cited out-of-context remarks made by former Secretary of State and current State Senator Bill Diamond of Windham to support this complaint. Sen. Diamond served as the Maine Secretary of State from 1989-1997. In the Maine Senate, he currently represents the people of Windham, Raymond, Standish, Casco, Baldwin and Frye Island. Sen. Diamond also serves on the Legislature’s Criminal Justice and Public Safety Committee and Government Oversight Committee.